Waagacusub.com - Huge explosions have rocket the Somali capital. They became incontrollable, as they occur at least twice, while targeting government officials and their offices. 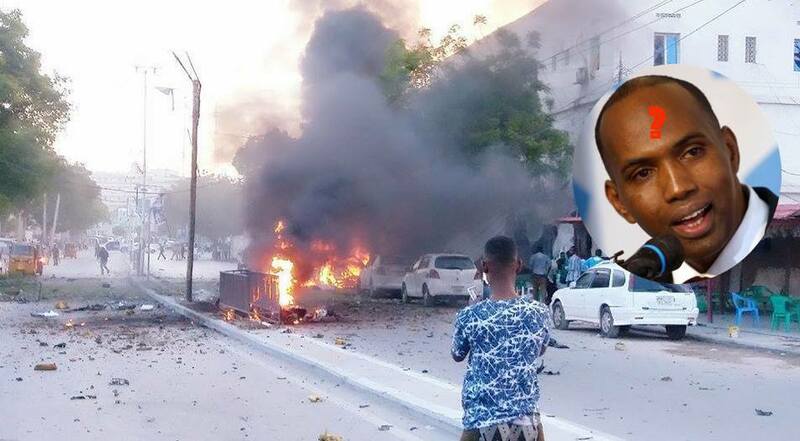 Al-Shabab terrorists seem to be recapturing the control of Mogadishu after the government troops and police vacated their bases in the front lines in lower and middle Shabelle regions. Those troops were annoyed by fake statements and campaigns against their reputation made by the country’s prime minister who said they are not registered with federal government. Mr Hassan Ali Khaire said the military get paid with their salary in every month. The president Mr Farmajo, said contrary to that which is they have not received their salary and wages for three months, this made the PM dishonesty person. The internal security minister who was former football player doesn’t have security background and therefore failed to effectively secure Mogadishu. Minister who tendered his resignation twice gave the government a loan of 12 million dollars according to Mr Khaire, and that is why his resignation has not been accepted.